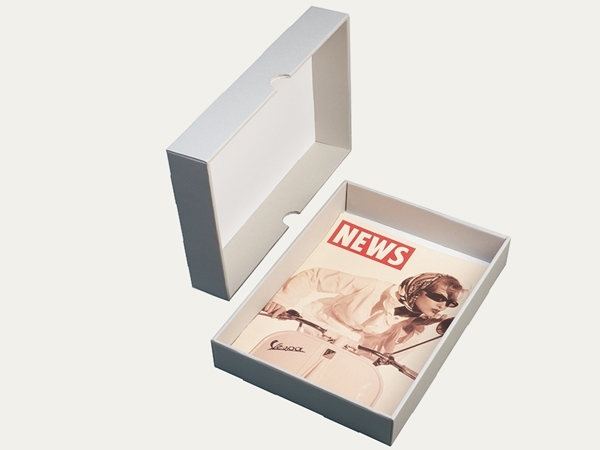 A two-piece box suitable for archiving postcards, index cards and microfiches. 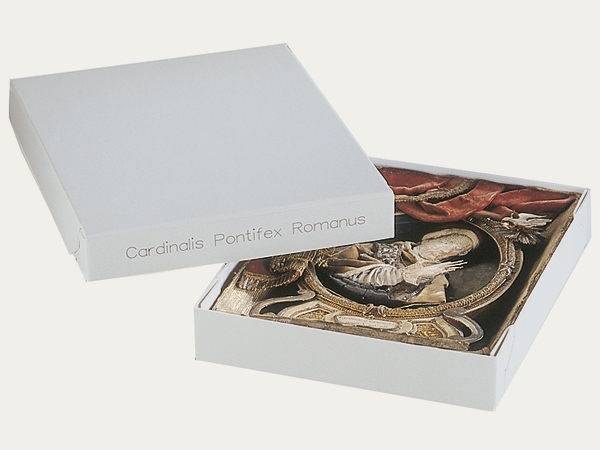 Made from corrugated board MW 1.65 mm or from MW 1.7 mm, double-walled on two sides, very sturdy, smooth interior surfaces. 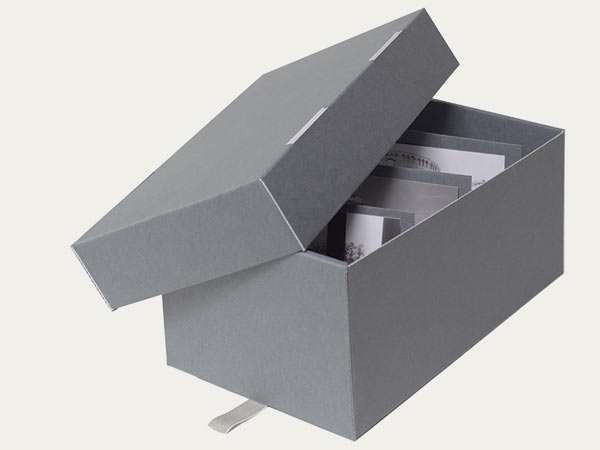 A textile pull-strap is attached on the smaller side of the base of the box. Delivered with three loose, partition insert segments. 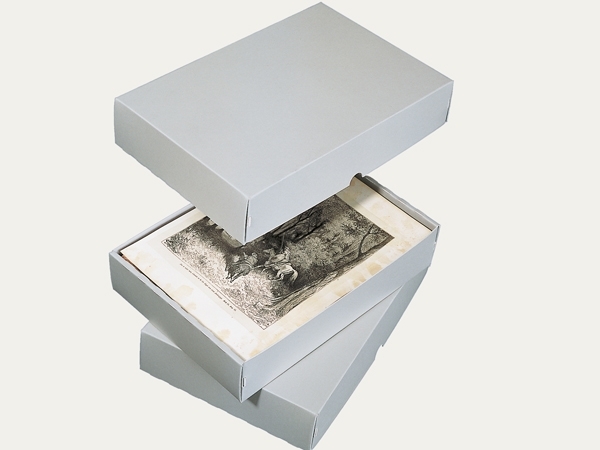 Roll storage boxes suitable for large-size and delicate archival objects. (e.g. geographical/architecteral maps, textiles etc.) 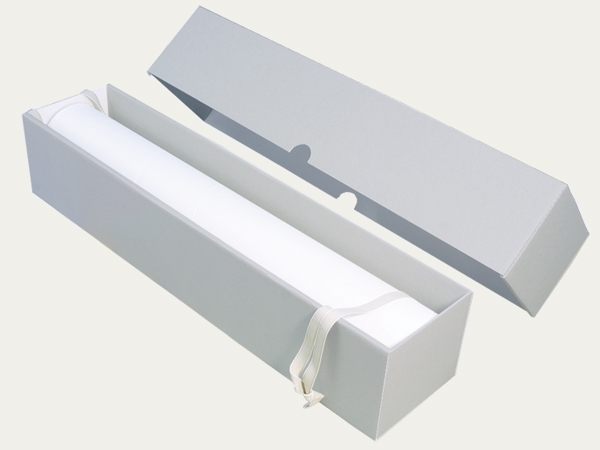 The tube in the box is made from spirally wound conservation board and is supported by two layers of corrugated board.